This “Book of Cool” is an online slideshow through dozens of unique sports and activities. The photos depict only the best of the best… the true superstars and heroes in their fields. 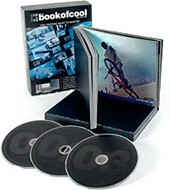 “The Book of Cool” is actually a full-featured hi-tech VIDEO BOOK for sale. But you don’t have to buy the book to see lots of the amazing tricks displayed by these talented people. Here are some demo videos from The Book of Cool. The book itself consists of 3 full-length DVDs featuring 9 hours of talents and skills, as well as a 320-page full-color book. In it, you’ll see how these world champions and award winners do what they do. You’ll truly see why they’re “the best”. And you’ll be able to follow along, step-by-step so you can try to do these one-of-a-kind movements and stunts… just like they do!